He was either loved or hated by those with whom He came into contact; rarely did He leave anyone with a feeling of indifference toward Him. The authorities of His day finally renounced Him as a fake, but The Christ leaves no doubt that Jesus was indeed the Messiah, the "Lamb of God which taketh away the sin of the world." 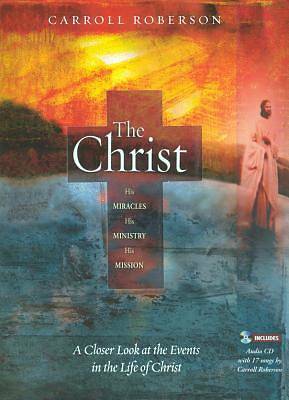 The Christ has many wonderful features: Organized chronologically by key events in the life of Christ, Fulfillments of Old Testament prophecies are indicated, Spiritual application of each event is shown, Key words from the original languages are explained, Includes complete Scripture references, Includes CD of original songs about the Messiah and the Holy Land by Carroll Roberson, and Can be used as a reference book, devotional, Bible study, or individual inspiration.